Here is a collection of aquaponics supplies, equipments and materials I have identified online through my journey in Aquaponics. These are reliable supplies I have found on Amazon.com, I mean these guys sell almost everything online and is known for their excellent service and in their punctual deliveries. These tanks have a perfect depth of 12″. They are also made of hardy and tough material that is built to withstand extreme weather conditions. Please click on the images for more information. If you are to put in a little bit more investment, Aquabundance tank (in brown) is a built for aquaponics purpose growbed. Well, they may cost more but are meant to take the beating that nature has to offer and are extremely hardy and durable. The Rubbermaid and Behlen Country variant are good enough but if you prefer a better option, AquaBundance is your choice. Here are some different choices of hydroton or LECA that come in packs of 50 liters or smaller packs. Choose one that fits your system size. Click on the images below or Click Here for a more comprehensive information on the different choices of Hydroton available in the market right now. Here are some fish tanks I’ve found in Amazon. 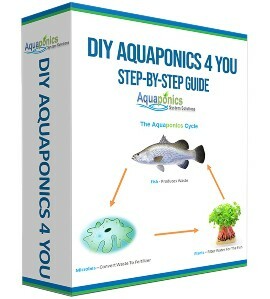 It’s suitable for smaller set-ups and if you fancy, you can opt for the DIY kit by AquaBundance. You will find a good selection of water pump for your aquaponics supplies here. I have listed out different range of pumps for your selection here to suit your system size. You can either click on the images below or for a more comprehensive summary of the pumps, please follow this link! A good tip to remember when choosing your pump is to first determine the pump flow rate that you require and the max head that you need. Here I have picked a few variants of grow lights that you can use. They range from T5 lights to the LED variant. The LEDs may cost more but saves you money on electricity in the long run, and they hardly ever fail. 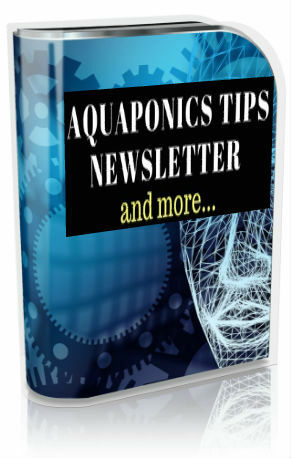 Please click here for a more detailed explanation on the aquaponics grow lights. 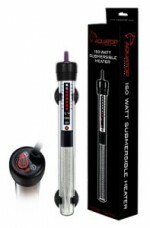 Water heaters are critical for fish tanks that are exposed to fluctuating climatic and temperature conditions. 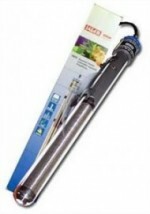 This is because these heaters help to maintain a stable temperature in the fish tank allowing your aquaponics fish to strive in their optimum temperature conditions. Click here for a more in depth information on the various water heaters in the market right now. I’ve found some good fish feeds for your aquaponics fish. The Aquaorganic variant (the first image) can be crushed easily to smaller pieces to feed your fries or fingerlings. The second is really suitable for juvenile stage of your fish. The third is for intermediate size (3 to 4″ long). The final variant is more suitable for adult fish (more than 6″ long). When it comes to water testing, the “API Freshwater Master Test Kit” is always my first choice due to its accuracy and affordability. Nevertheless, the test strips (API 5 in 1 Test Strips) is a good enough alternative though and they are gentle on the wallet too. Plus, they are very convenient to use. It may lack clarity between readings at times, but so does the Master Kit for that matter. If you have been following my blogs you would know that I’m a strong advocate to cycling aquaponics systems with fish and plants together. But if you prefer to practice fishless cycling here are some products you can use to help you in the process. 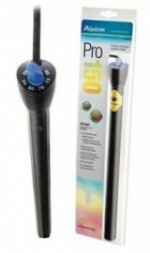 The AquaCycle variant comes without the thermometer and API Freshwater Master Test Kit while, the AquaStart variant comes with everything included. Depending on your requirements, both variants accommodate to different system sizes hence, the price difference. 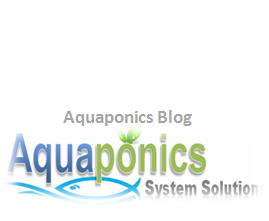 Here are some other aquaponics supplies you can use to help in your system. Chelated Iron is for you to use when you find your aquaponics plants are yellowing. A sign of your system lacking iron. You can read more about it here. As for Aquatics Ammonium, it’s used to simulate the presence of fish poop in the fish tank. Zym-Bac Nitrifying solution is used to promote the growth of nitrifying bacteria in the system to speed up the cycling process. And the De-chlorinator is used to remove chlorine from your auqaponics system’s water source.